Summer holidays are just around the corner and when it comes to planning the perfect family break, you need to keep safety in mind. Your little ones need to take extra care in the sun, especially when it comes to their eyes, so to keep them protected this summer, we’ve rounded up the top sunglasses for kids this year. Lightweight for a comfortable fit, the BLOC Scorpion Junior sunglasses are perfect for kids! BLOC has managed to incorporate all of the technical features found in their popular adult range into a fun sports inspired frame that’s ideal for smaller faces. 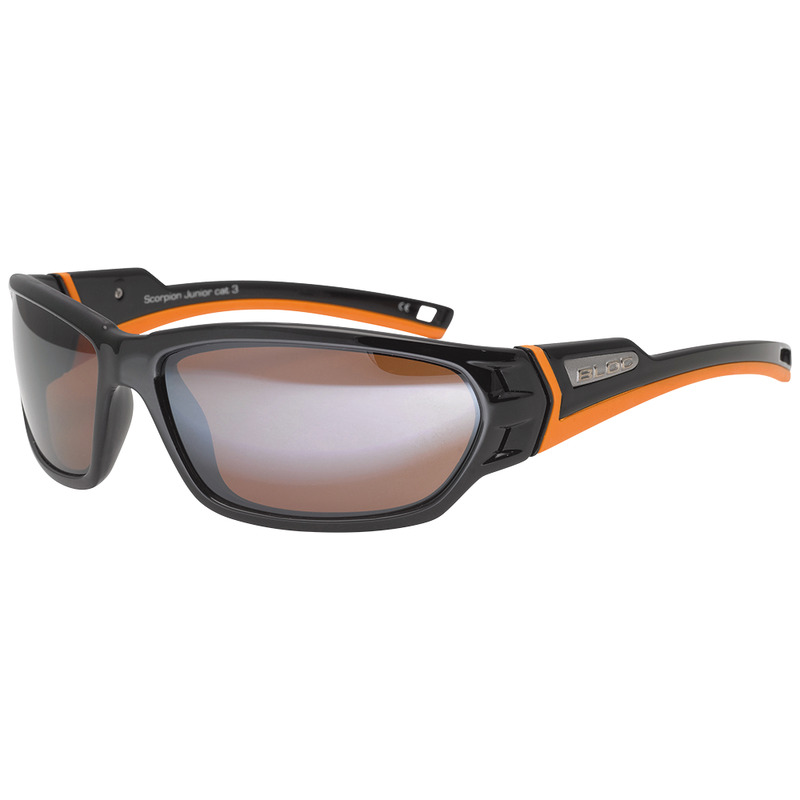 With category 3 lenses, these sunglasses are designed for general purpose to bright light conditions. A fantastic option for parents on a budget, the Decathlon Quechua Kid 100 sunglasses are designed for outdoor activities in sunny weather, with full UV protection to keep vulnerable eyes safe. Specifically designed for children aged 2-4, the bright turquoise colour is perfect for the summer months and will leave your little ones looking and feeling their best. Another pair of durable kids sunglasses that won’t break the bank! We love the Eyelevel Celebration glasses from Sunglasses for Sport, designed for children aged 5-9 years. The black and purple frame will definitely appeal to those mini fashionistas and the polycarbonate shatterproof lenses offer UV400 rated protection from UV rays. A classic style that’s now available in junior sizes! Ray-Ban Wayfarers are one of the most popular sunglasses around and the junior size ensures that your little one will be the coolest kid in class. With polycarbonate lenses and a sturdy plastic frame, these glasses offer 100% UV protection and have the iconic Ray-Ban logo on the front and side. How can you resist these adorable tiger sunglasses from Foster Grant? Designed for little faces, the goggle style will ensure that they stay secure on the face when you’re out and about. Made from sturdy plastic, the lenses offer 100% UVA and UVB protection. These super fun glasses are also available in a bright pink design! JoJo Maman Bebe – Baby & Children’s Sunglasses – £7 The baby & children’s sunglasses range at JoJo Maman Bebe is a bestseller, and we can see why! These stylish sunglasses offer full UV protection, bold colours and a rigid frame for a secure fit. They also come with a handy sunglasses strap if your little one isn’t keen on keeping hold of their eyewear! Available in a wide range of colours and sizes, they’re perfect for summer fun in the sun. These durable frames are perfect for a mini-me who wants to look as stylish as mum and dad! The glitter frame makes these glasses extra special and they’re ideal for trips out during the summer months. Don’t be fooled by the pretty frame, these kids sunglasses are designed to provide 100% UVA and UVB protection from the sun’s rays.